This is a row of 40 break away headers spaced 0.1" apart with long pins on both sides. This header is especially useful when you need to connect a PCB to a solderless breadboard. Each header can be broken apart to your preference to fit custom PCBs or general custom headers. 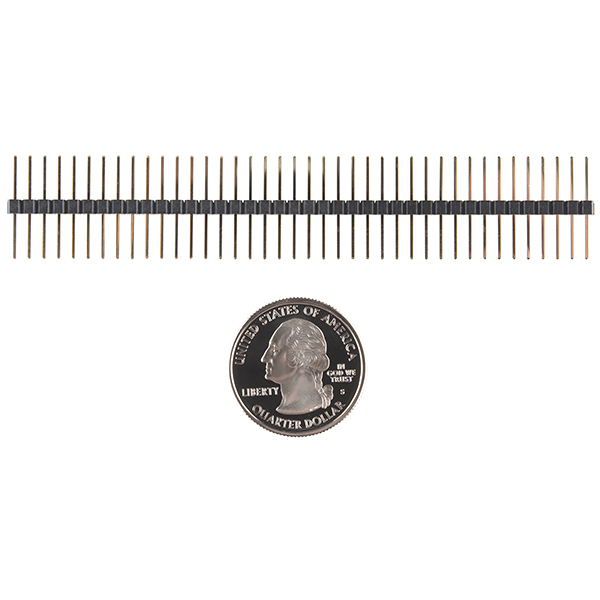 Can you slide the plastic on these like PRT-10158, to make one side longer for wire wrapping? Seems like a bargain if you need bulk. Only 2 mm shorter than PRT-10158, and you need to manually shift the plastic along the pins. Or is there some other difference that I am missing? When using wire cutters I was able to easily cut the amount off that I needed and without any loss. 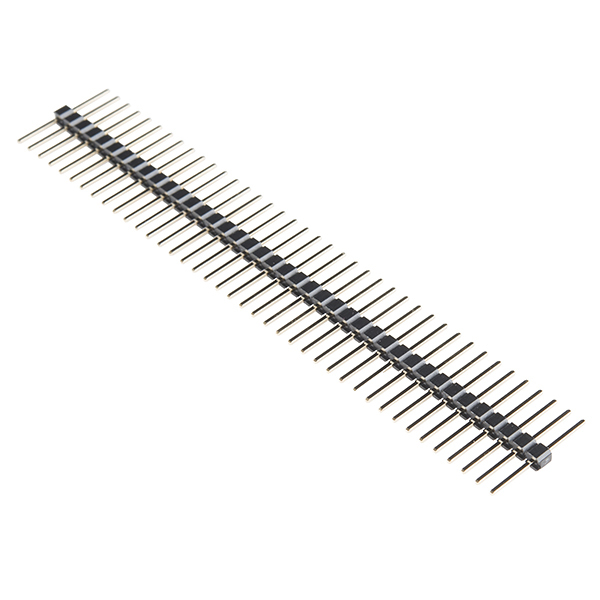 The pins can be moved back and forth with some effort, (they won't just fall out or move easily on their own), and the length is very good for securely putting into a breadboard and having enough to also secure a jumper cable or other female connector on top.